Click here for more information on my FREE guided rides "Hidden Brechfa" and "The Brechfast Club"
My name's Chris and I'm a fully qualified and insured mountain bike guide specialising in big days out for serious riders. I absolutely love mountain biking and I absolutely love this part of the world with its rolling moorland, majestic forests and deep valleys. From rugged hilltop paths and historic bridleways to world-class trail centres and a vast network of enduro tracks, there is something here for everyone - if you can find it. I can tailor a ride to your exact needs and ensure that you make the most of the amazing riding on offer. Imagine an MTB marathon designed just for you... As a battle-hardened endurance racer, often on a singlespeed, I have the fitness and experience to cater for the strongest riders who want to go further and faster than the norm. There are some superb loops in this area for anyone up to 50 miles or more in a day. And if you want to get really extreme, how about having a crack at my record on the 105-mile Trans Cambrian Way? Fancy a bit of natural action as an alternative to trail centres, or a mixture of the two, or just need someone who knows the shortcuts to the best bits? From the rocky enduro trails of Brechfa or Caeo to the out-there-ness of the Doethie Valley to the splash-fest that is the Tywi Track and all stops inbetween, I can help maximise the fun stuff and save you the hassle of navigation. Expect an action-packed loop of 15-30 miles. The MTB trails at Brechfa and Nant yr Arian are perfect for beginners and near-beginners (well, everyone really). I can help both adults and children learn the basic skills needed to cycle off-road safely and have as much fun as possible. You'll find me a patient, easygoing guy. I just take it out on my own family later. 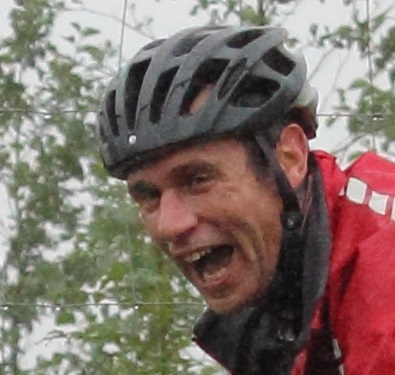 I hold the MBLA Trail Cycle Leader qualification, which means I've trained in skills coaching, first aid, navigation, bike maintenance/repair and child protection, and I'm fully insured through British Cycling. From £15 per hour for one-to-one down to as little as £4 per person per hour for groups. I can also help with accommodation and arrange hire bikes, food and an extra guide for groups of more than eight riders. Click here to e-mail me or ring 01570 434751 to discuss your requirements. For news and photos from past epic rides, see my Facebook page. To follow my racing exploits, visit www.29gears.blogspot.co.uk.